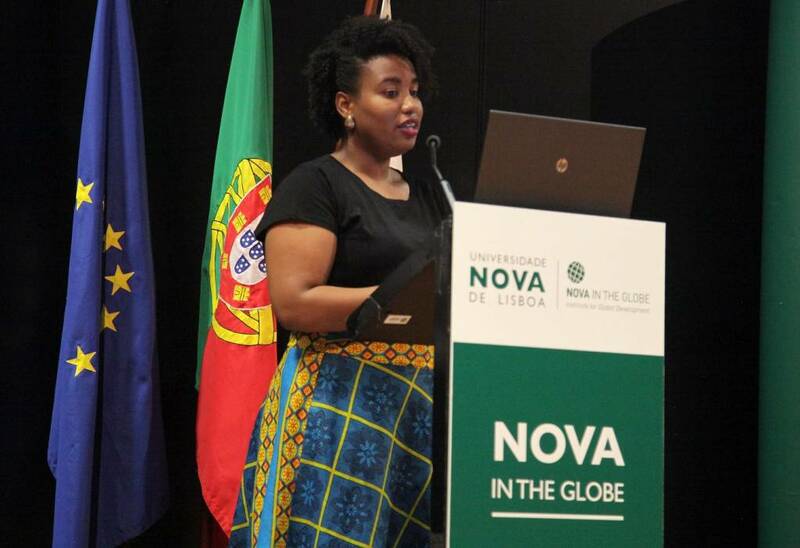 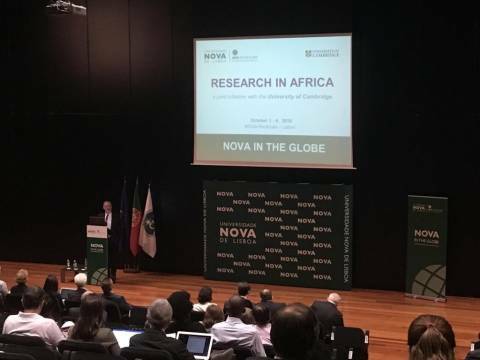 The conference "Research in Africa", the first initiative resulting from the institutional collaboration between NOVA University Lisbon and the University of Cambridge, started today at the Rectorate. 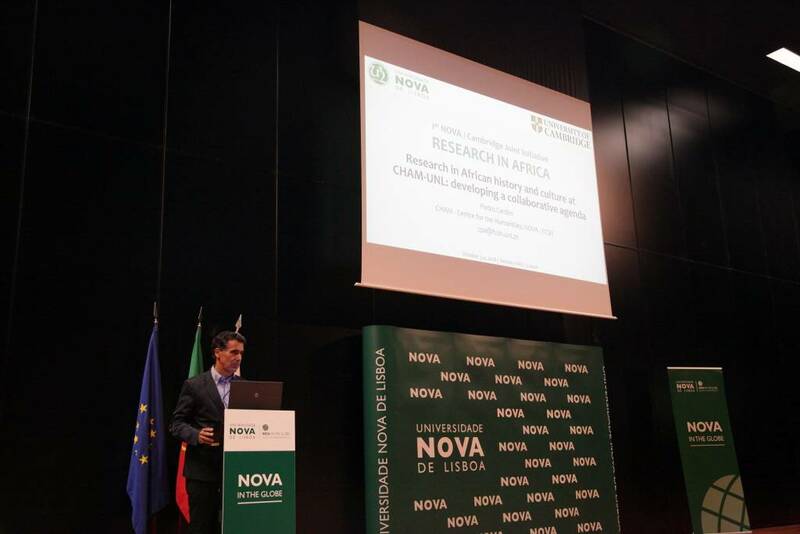 This conference, promoted by the Vice-Rector Professor João Amaro de Matos, aims to introduce researchers to a broad portfolio of NOVA’s scientific work in Africa and to create opportunities for dialogue. 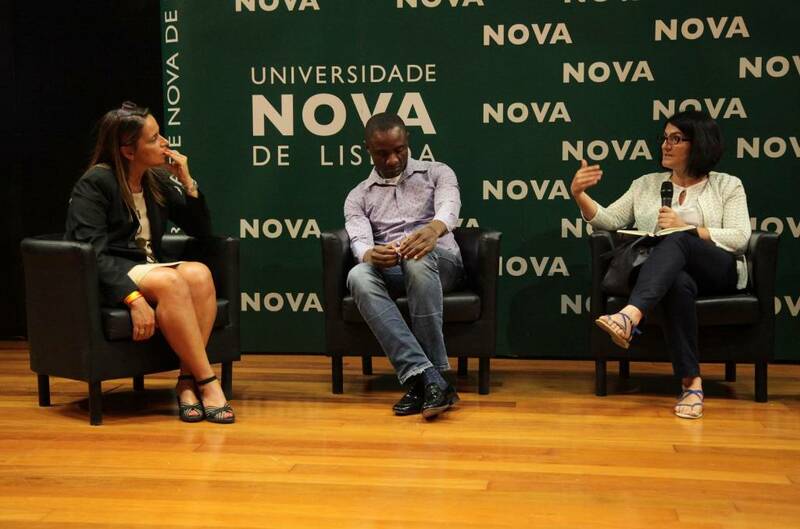 More than 50 researchers from NOVA's schools and research units, the University of Cambridge (UK), Lancaster University (UK) - which established a strategic partnership with NOVA last June, Agostinho Neto University (Angola) and Lúrio University (Mozambique) are attending this conference, which is organized in several thematic panels. 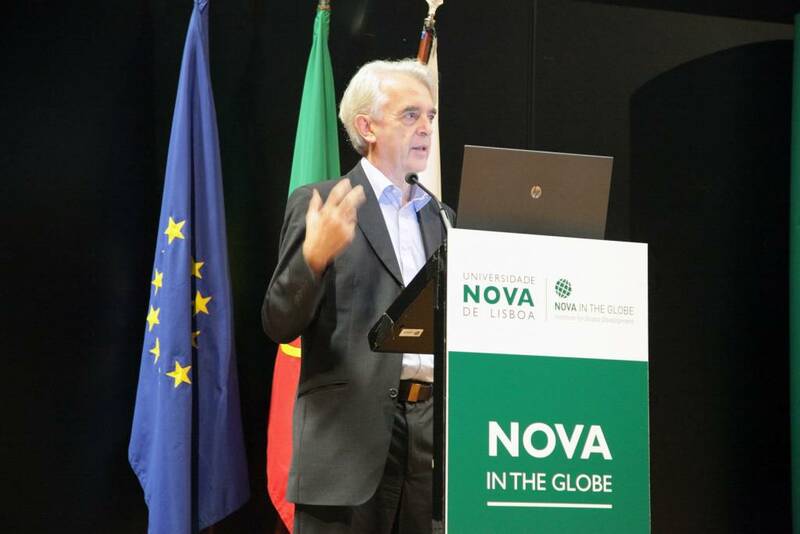 In the opening session, the Rector of NOVA, Professor João Sàágua, explained the three reasons that motivated the organization of this conference and the ones that will follow which will focus in other regions of the globe. 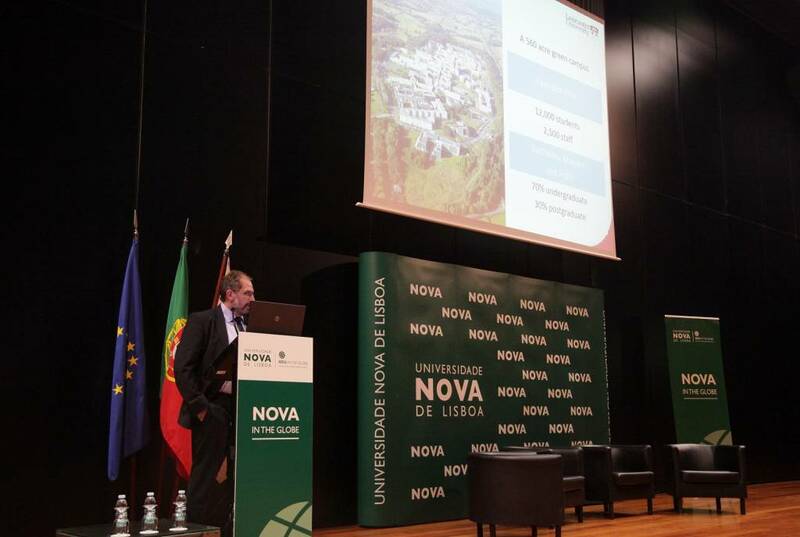 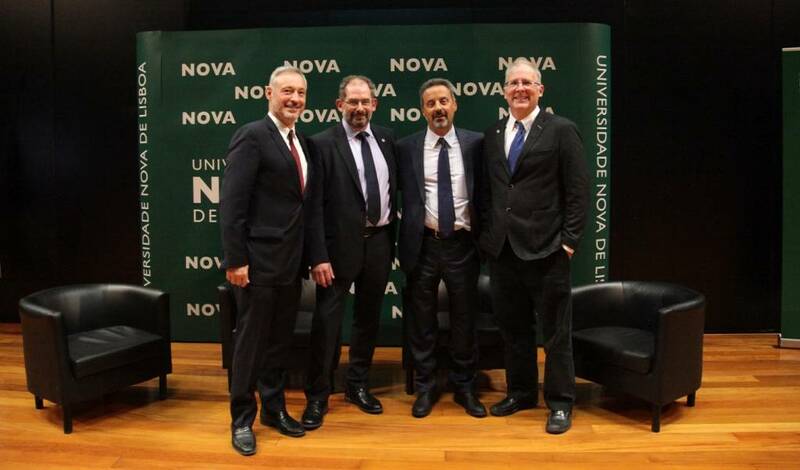 The first reason concerns the approximation of NOVA's research units in an exercise that the Rector described as a need «for research groups to overcome a silos' culture and join forces to work together towards mutual and interdisciplinary challenges». 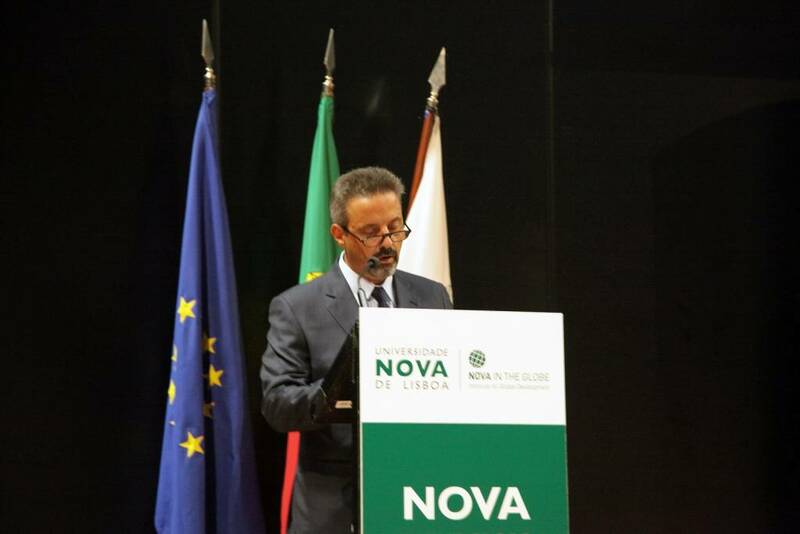 On the other hand, as a second reason, the Rector pointed out the need to reinforce the opportunities for collaboration at an international level, which can only be achieved through the integration in relevant international networks and supported by international funding. 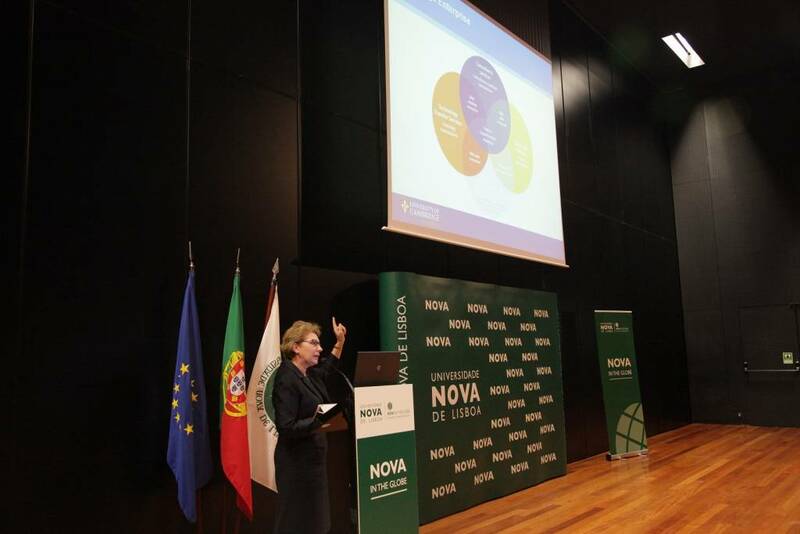 The third reason, described by the Rector as part of the University's strategic plan, is a challenge for NOVA's research community to «contribute with collaborative and interdisciplinary research to the production of cutting edge knowledge, essential to support initiatives that allow achieving some of the sustainable development goals set out in the United Nations Agenda 2030». 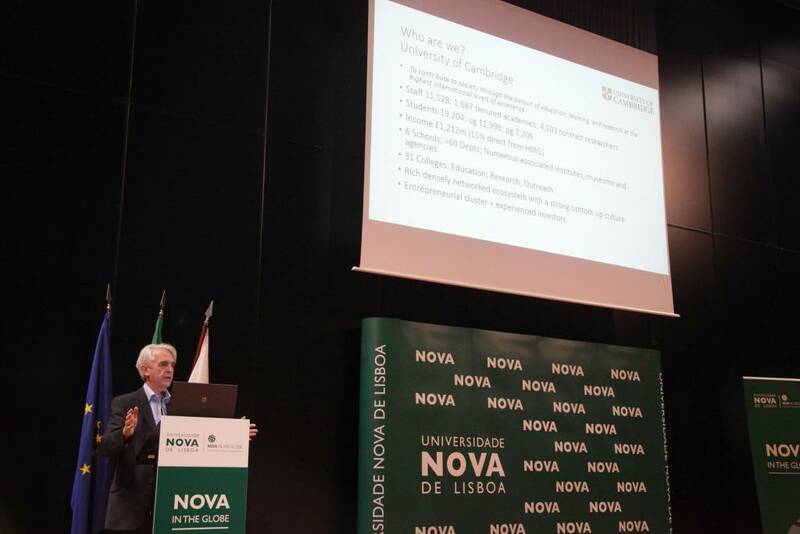 A delegation from Cambridge Global Challenges (CGC), a transversal department to the entire University of Cambridge which has the purpose of promoting the multidisciplinary research with an impact in developing countries, is present at this conference. 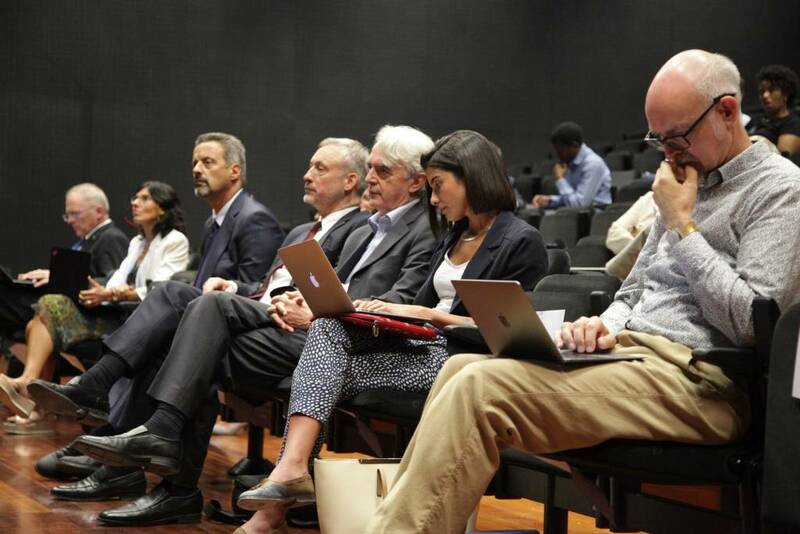 In particular, CGC will describe how the implementation of that research is carried out in developing countries and how they undertake the co-creation work with the local communities. 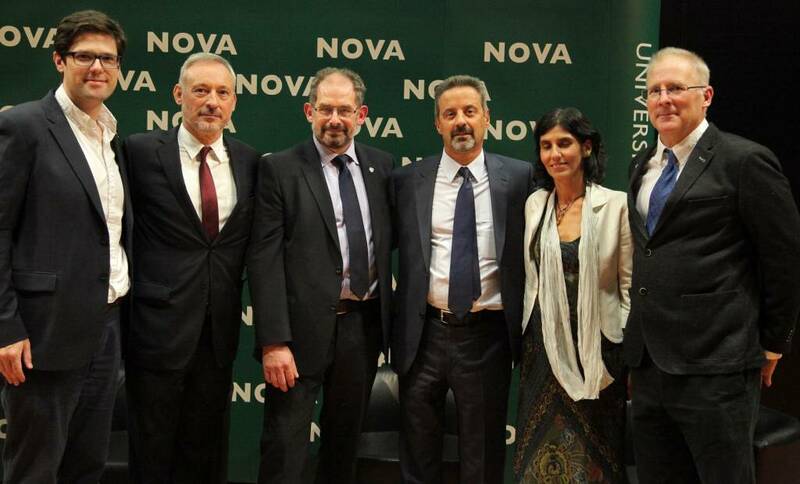 The creation of the NOVA Institute for Global Development (NOVA InThe Globe) is one of NOVA's strategic moves which, just as Cambridge Global Challenges (CGC), is designed to work as a transversal institution that promotes interdisciplinarity of areas and whose research is guided by sustainable development goals. 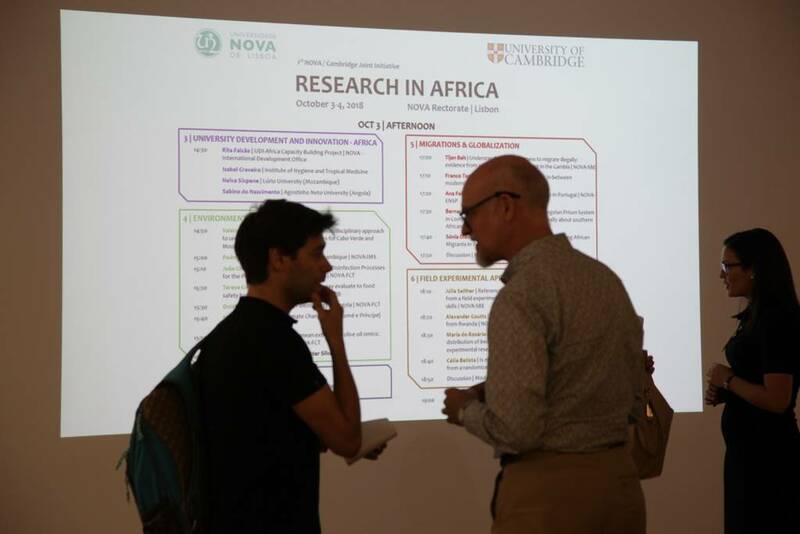 The conference "Research in Africa", and next year's conferences on research in Europe, Latin America and Asia, is a first step in the development of NOVA In The Globe. 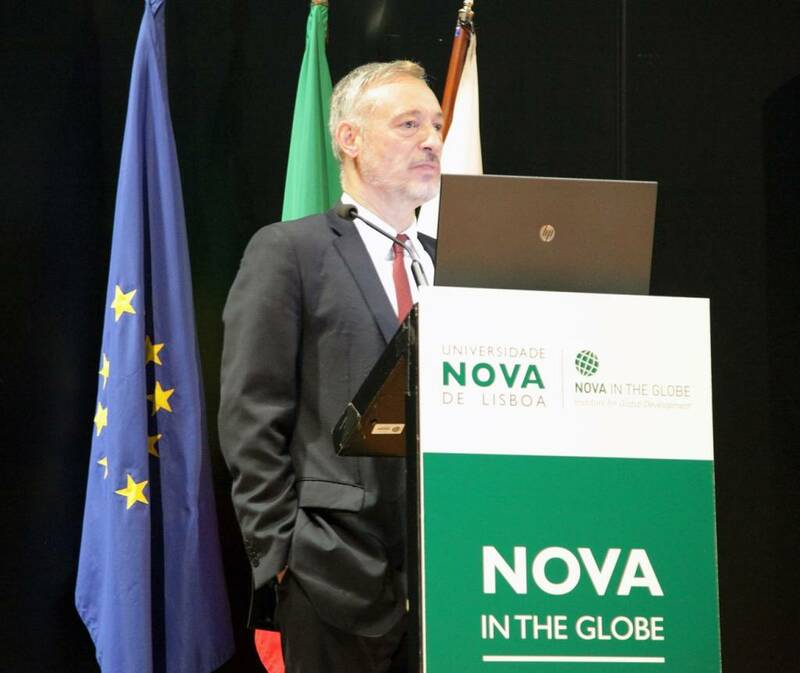 This institute will have a triple existence: virtual, through a digital platform that gathers funding opportunities, initiatives and research projects; physical, dispersed by NOVA's campi through synergies of existing research areas and units; and finally, in another form of physical existence, outside NOVA, which includes all places in the world where initiatives promoted by the Institute take place.